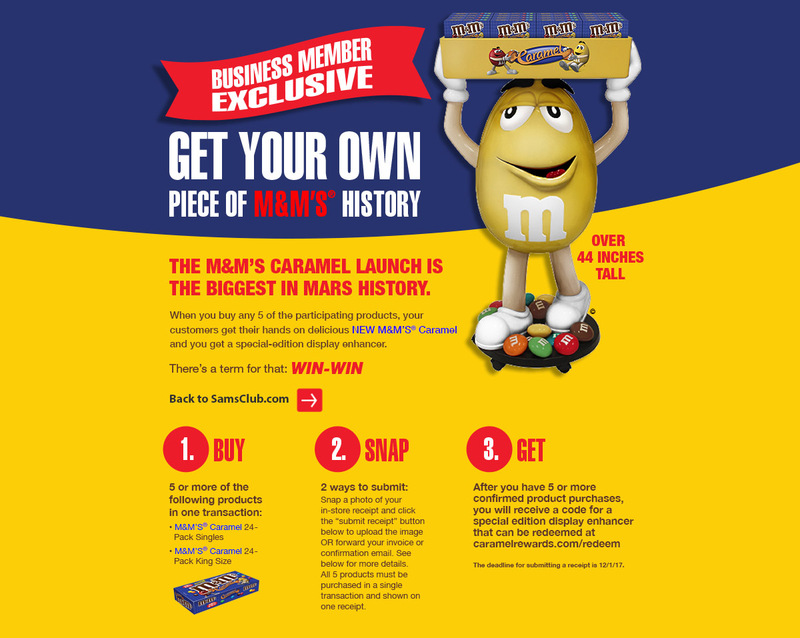 M&M’s Caramel launch is the biggest in Mars history! Sam’s Club Business Members who purchase 5 participating products in one transaction can submit an image of their receipt to receive a special-edition display enhancer. Purchases can be made in-store, online at samsclub.com or via the Sam’s Club Scan & Go App. Online and Scan & Go App receipts can be submitted to TPG as an html email or a pdf.